You should have seen on my photo displayed in Konchin.com frontpage : I’m wearing a watch. This is not a mistake in fact it’s an Heart Rate Monitor. 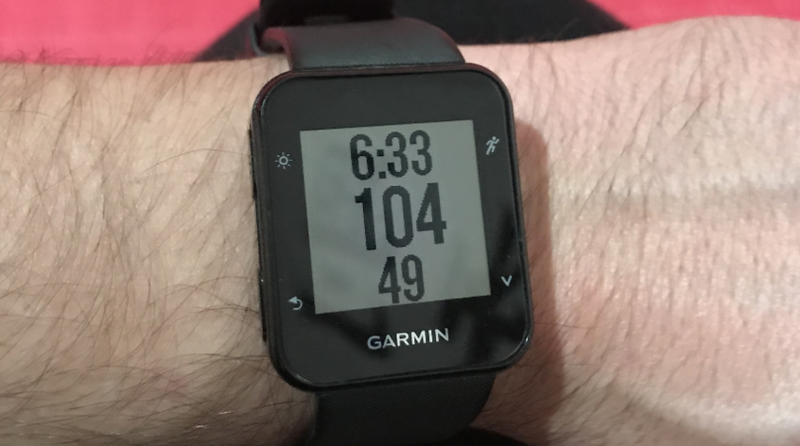 Heart Rate monitoring is the basis of numerous sports. It was firstly introduced in endurance sport such as running & cycling. The first heart rate monitor was sold in the 80’s and used on the Cycling Tour de France. As a former cyclist (I’m still riding but not as my former level and speed), I learnt how to use Heart Rate monitoring and experienced its limits; that’s why I developed a specific method based on muscular power measurement. If you want to train using Heart Rate monitoring as a basis you need to define your endurance training zones. to know at least 2 values : your Resting Heart Rate (RHR) and your Max Heart Rate (MHR). Coming back to Karate training I continue to use the Heart Rate while training in my Home Dojo. When I started again Karate with Uechi-Ryu I was recovering from bad disease and I hard to start from scratch. I will not dig in the details about this disease but at that time I was not able to perform more than 20 minutes of sport without being exhausted. After a very supporting push from my sensei to convince me to continue; I started to re build my body using the Heart Rate Monitor. Heart rate indicates mainly your body answer to the different stimulus (effort intensity, temperature, humidity, ….). For very short effort I use it to not exceed zone 4-5 during Heavy Bag training and zone 3-4 during kata training. I look carefully too the recovery phase just after kata performance.